If you were to stop by Metalmaster on a Wednesday night, you would see the break room looking more like a yoga studio. 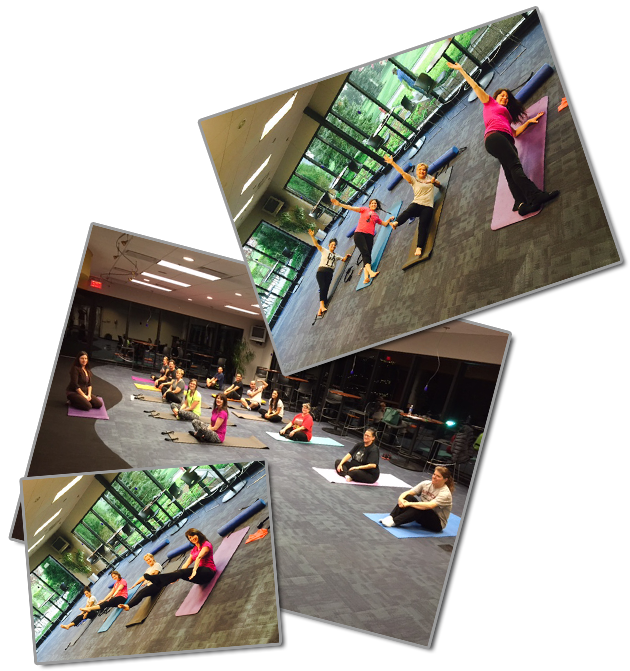 Recently we have been offering Pilates classes to all employees and many have taken advantage of the opportunity. We would like to extend a special thanks to our instructor Kasia! This entry was written by connor, posted on May 20, 2015 at 3:11 pm, filed under Company, General and tagged Mat Pilates, Pilates, Yoga. Bookmark the permalink. Follow any comments here with the RSS feed for this post. Comments are closed, but you can leave a trackback: Trackback URL.